The Killers are a Las Vegas-based band fronted by Brandon Flowers. Flowers, along with current band members Dave Keuning, Mark Stoermer, and Ronnie Vannucci, Jr, appeared on the scene in the early 2000s, dressed in dapper suits and styled with perfect pompadours. At the start, The Killers had the look and sound of a new-wave band but with post-punk influences and a ton of crossover potential. 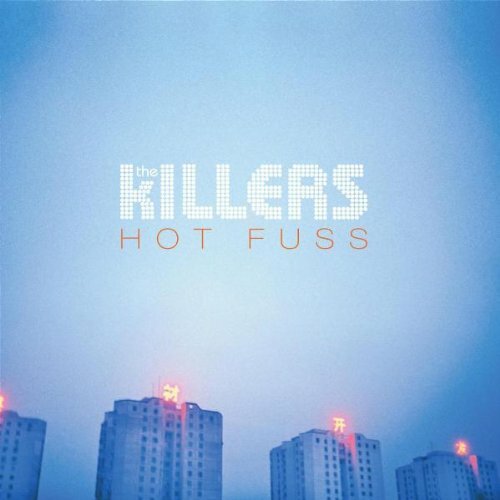 On June 15th, 2004, The Killers released their debut album, Hot Fuss in the US. The album sold millions of copies worldwide, launching The Killers into the spotlight. Many of the singles topped the charts. Millions of fans were introduced to 1980 and 1990s Brit-Pop sensibilities and style, tailored for American audiences. Ten years later, Hot Fuss is still one of the most memorable albums of 2000s. When I look back at this album, I believe it is memorable in spite of the two most remembered songs: “Somebody Told Me” and “Mr. Brightside.” It is not because of these songs that I come back to the album a couple of times a year; I revive this album for the secondary tracks. The album opens with “Jenny Was a Friend of Mine,” a track with roaring bass-lines and Flowers’ signature detached vocals. The vocal tones on this song are similar to that of Paul Banks of Interpol, another band coming up in the alternative scene during that time. This is a perfect introduction into the ethos of The Killers. While The Killers songs may be catchy on the surface, there was always a suggestion of morbid darkness. This song is a prime example of that. “All These Things I’ve Done” was one of the strongest songs on the album. It was released as the fourth single, after “Smile Like You Mean It.” The track starts off slow with just Brandon’s vocals. Then speeds up when the drums and other instruments enter the track. The song contains the memorable line “I got soul/ But I’m not a solider.” This lyric is quite nonsensical but gets stuck in one’s head for weeks. It is one of those songs that invaded dance halls and adult radio. “Change Your Mind” was a track with a wonderful synth melody. Like with many Killers songs, there are themes of uncertainty. This track is like a happier Morrissey song as Flowers whines “We’re all the same / And love is blind / The sun is gone / Before it shines.” “Andy You’re a Star” has an awkward tempo while “On Top” and “Midnight Show” are frantic pop songs. It is these strange yet catchy songs on this album that prove Hot Fuss is more than the hits. Hot Fuss is regarded as a classic debut album. Some Killers songs are perfect for radio play. Other songs appeal to the dance club kids. All 12 songs exist side by side on Hot Fuss. Although this band never reached the same fortune with their follow up albums, Hot Fuss will always be a memorable album full of of new-wave/post-punk catchy songs arranged for modern music fans, indie rock and mainstream alike.